The court held that probe agencies such as ED, I-T department, CBI and SFIO can attach properties even if these are mortgaged to banks. HC’s verdict came on a batch of appeals by ED against the orders of PMLA appellate tribunal in favour of various banks. 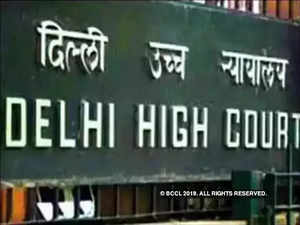 In a ruling that empowers investigating agencies going after assets of high value economic offenders, the Delhi high court has said even properties mortgaged with banks can be attached. Harmonising the conflict between provisions of money laundering law, PMLA, the Bankruptcy code and related laws, High Court made it clear the Prevention of Money Laundering Act (PMLA) will prevail when it comes to attachment of properties obtained as “proceeds of crime.” Justice R K Gauba set aside two key conclusions of the PMLA Appellate Tribunal in the process and held that probe agencies such as ED, I-T department, CBI and SFIO can attach properties even if these are mortgaged to banks. It held that assets purchased prior to commission of crime by an economic offender can also be attached during investigation. Justice Gauba clarified that the PMLA, Recovery of Debt and Bankruptcy Act (RDBA), Securitisation and Reconstruction of Financial Assets and Enforcement of Securities Interest Act (SARFAESI Act) and Insolvency and Bankruptcy Code (IBC) must co-exist and be enforced in harmony. The court said when it came to assets alleged to have been “derived or obtained” as a result of “criminal activity” and consequently being “proceeds of crime,” by virtue of Section 71, the PMLA act will have “overriding effect over other existing laws” in the matter of money-laundering. It agreed with the argument of ED standing counsel Amit Mahajan that a probe agency is empowered under PMLA to attach not only a “tainted property” which is acquired or obtained directly or indirectly from proceeds of crime, but also any other asset or property of equivalent value owned by the offender, even it was bought before the alleged crime of money laundering. Justice Gauba pointed out that the other asset, even if it doesn’t bear any taint, is an alternative attachable property on account of its link or nexus with the offence or offender of money laundering. HC’s verdict came on a batch of appeals by ED against the orders of PMLA appellate tribunal in favour of various banks. ED, had challenged the tribunal's orders on the issue of third party rights over a property attached by the agency. The tribunal had held that third parties — banks in this case — have legitimately created rights such as a charge, lien or other encumbrances and on that basis have a superior claim over such properties.